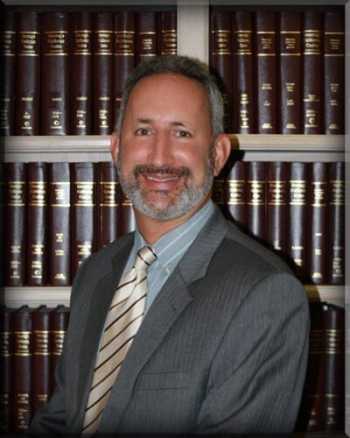 Hiring a Los Angeles Immigration Attorney is critical to the successful outcome of your case. Immigration Law is changing all the time. What used to be the law is no longer the law. What once was not permitted is permitted at the present time. There are regulations, laws, cases, memorandum, policy and many other factors. Many times people will think that completing a case is as easy as just filling out some forms. Unfortunately, it is much more complicated than this. An Immigration Attorney is able to look at all the areas of immigration law in order to determine how a particular situation might affect another area of immigration law. For example, somebody might come to the U.S. on a B2 Visitor Visa and get married two weeks later. They might look online to see the forms they need to complete to get a green card based on a marriage petition. Then, at the interview, the case is denied and the applicant is deported. Why? It would have been fraud to get married within 30 days of entry to the U.S under those circumstances. An Immigration Attorney would have clearly seen this issue and advised the clients what to do and how to avoid the allegation of fraud. Another situation might be somebody applying for naturalization in order to become a U.S. Citizen. For example, this person received their green card through employment and has no crimes, did not stay outside the U.S. for more than 2 weeks and has good moral character. Sounds easy? In this case, not only was the naturalization denied, but the person was put into deportation/removal proceedings. Why? Because it turns out that the company that petitioned the person for the green card went bankrupt prior to actually working at the company. The naturalization officer stated green card should never have been given. A qualified Immigration Attorney would have seen this issue and prepared the legal arguments accordingly to have a much better chance of winning. You can search for all types of attorneys to help you. Legally they can. However, the reality is that only a qualified and experienced immigration attorney with years of experience in deportation law can help you in removal/ deportation and waiver cases.The immigration attorney might have to go with you to the asylum office and help with your arguments once in front of the officer. The immigration attorney will know what office is necessary to send the petition, application or documentation. It is much more difficult that it would appear when you have Immigration related offices all over the place. Most of the time the Los Angeles immigration attorney will be able to go with you or on your behalf to the immigration facility. Immigration Law is like a 10,000 piece puzzle. If the immigration attorney is a certified specialist in immigration law, then he or she can look how one situation might affect another area of immigration law. Even if you decide not to hire an immigration attorney, the initial consultation would be a good idea. At least the immigration attorney would make you aware of the issues that present themselves and to determine the path that is best to resolve your situation. A qualified immigration and deportation lawyer can see how naturalization, residency, inadmissibility, deportability, and many other factors all work together. Question: I committed a relatively small crime. Am I now not admissible to the U.S.? Answer: It will depend on what exactly you committed. However, there is what is known as the petty offense exception. Question: What is the petty offense exemption? Answer: An alien (whether or not a minor) is not inadmissible if the CIMT is for a petty offense. A conviction (or admission) is considered a petty offense: “if the maximum penalty possible for the crime of which the alien was convicted … did not exceed imprisonment for one year and, if the alien was convicted of such crime, the alien was not sentenced to a term of imprisonment in excess of 6 months (regardless of the extent to which the sentence was ultimately executed). Question: What if there is an undeterminate probationary period? Answer: An undesignated probationary sentence, unlike an indeterminate sentence, is not considered a felony punishable by more than one year imprisonment, where the court has designated it a misdemeanor punishable by a maximum term of imprisonment of 6 months. Question: What if the crime is a ‘wobbler’? Answer: Cal. Penal Code §487.2 is a “wobbler” statute and where judge designates it as a misdemeanor, the BIA is bound by that determination for purposes of the petty offense exception. You need to look at each particular State. Question: What if I had a drug conviction? Answer: Department of State takes the position that the petty offense exception is not applicable to drug cases. Question: What if I committed or admitted to more than 1 petty offense? Answer: The petty offense exception is not applicable if more than one CIMT offense has been committed or admitted. Question: What if I committed more than 1 crime, but only 1 is a CIMT? Answer: Where there was a second CIMT, the “stop-time” rule applied because the petty offense exception only applies to the first CIMT. However, it remains effective where one of the 2 offenses was not for a CIMT. For example, an applicant who was convicted of a petty offense that was a CIMT and a second offense (battery) that was not a CIMT, he is not barred from cancellation, because he has not been convicted of an offense under §212(a)(2). It also remains effective for purposes of cancellation, where the second CIMT was not committed until after the residency requirement had accrued. The “stop-time” rule did not bar cancellation where first conviction was a petty offense and second conviction occurred after respondent accrued 7 years of continuous residence. Question: What if I admit the facts of a particular crime? Answer: If there was no conviction but the person admits facts, the petty offense exception applies and the alien is not inadmissible so long as the maximum sentence that could have been imposed does not exceed one year. An article in the Chicago Reporter states that of the nearly 1,500 cases of women with children seen in the Chicago Immigration Court this past year, less than 14% were represented by a lawyer, a figure that is less than half the national rate. USCIS Reminder: New Form G-28 Mandatory Starting May 18! USCIS posted a reminder that beginning May 18, 2015, USCIS will accept only the new Form G-28 with an edition date of March 4, 2015, and will stop accepting the earlier version of the form. If a filing is submitted with an old version of the G-28 on or after May 18, USCIS will not accept the G-28 but will accept the application (if it meets the criteria) and send all notices and secure documents to the applicant.